Home>New Songs>FKJ Songs> FKJ & Col3trane Join Forces On "Perfect Timing"
"I already had a melody in my head for it, but what he came up with outdid what I had originally imagined," FKJ says. "He added words in the right spots. It also has that dancehall vibe that I love. When I was a teenager, I listened to a lot of dancehall and this beat is definitely an inspiration from it. I originally made the beat while on tour, just me on my laptop, very quickly and with a clear mind. Once Col3 sent over his vocals, I went back to the studio and worked on it. I haven't produced for many voices yet, but I quickly realized that this is something that I love to do. I'm free to expand into different genres that people don't expect from me." 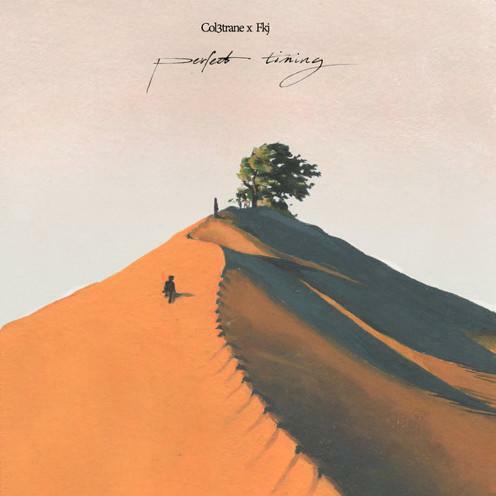 SONGS FKJ & Col3trane Join Forces On "Perfect Timing"